Sunglass Hut: Prada — Geoff Howell Studio Inc. 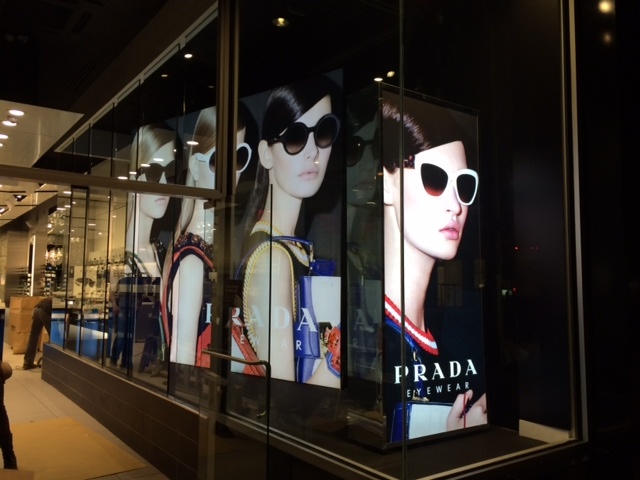 Here's a look at a new PRADA installation at Sunglass at their 5th Ave flagship that we installed. This ultra understated presentation features a combination of large format backlit graphics and video to create a simple but bold design.